Garage Innovators mix serie continues ! Did you like Hybu’s Garage Innovator #1? Here’s part 2! Another Artist Only serie! Hybu’s tribute to UK garage kingMJ Cole! Less Talk More Action! Yes! Another Garage Innovators serie mixtape by UK garage king Hybu! This time it’s a tribute to Todd Edwards! Stormy day! and find more informations (inc. tracklisting) about it here. After the great success of Hooligans, here’s another mix by Paris (Fr)boy Hybu! He’s known for his blend of grime, uk garage, breaks, house & electro! ‘Bad Kids’ is one big party rush! Party Guaranteed! Bassline freaks! Hell Yes! THE NEW WORCK n°217 - Shake! Shake! Chicks! You want to shake it? This is the perfect mix! ‘Shake! Shake! Chicks!’! Hybu from Paris with another TNW mix! This time it’s a double sided one! Bassline, UK Garage, club, electronic music! A party guaranteed mixtape serie! Hell Yes! and find more informations (tracklisting) about it here. 1994 – 1999 dub infusion! 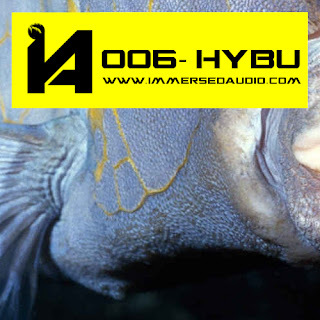 Hybu (Paris, FR) focuses on old school uk garage, house & (speed) garage from the 90′s! Volume 1 of ‘Bass Instinct’ shows the relation between old and future garage and between dub influenced house and nowadays dubstep such as Joy Orbison, Untold or Ramadanman! Volume 2 will be released soon and contains recent tracks of dubstep, future garage and bassline! DIY Bass! Here’s part 2 of HYBU’s ‘Bass Instinct’! Part 1 showed you the 90′s past of bass music, part 2 is the future! A blend of dubstep, UK funky & UK garage! UK garage is not dead! Brap! DIY Bass! A brand new The New Worck serie! Garage Innovators! Mixes of the best innovators of UK garage music! The first release is a tribute to Tuff Jam! Beware of more phenomenal mixes by Hybu! 2TUF4U? You can find more on the great schobbejak website : go there !